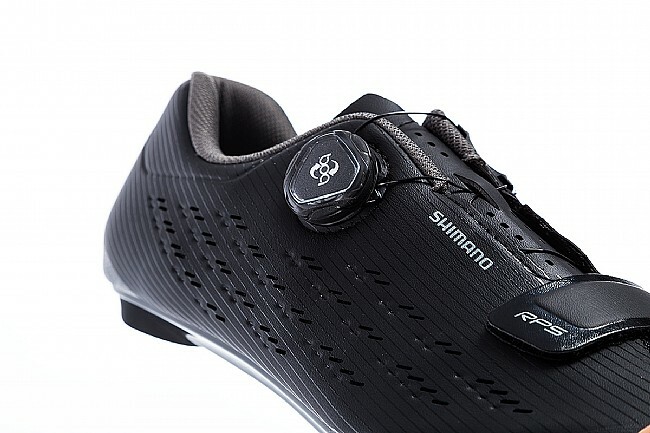 Shimano balances style, performance, and comfort with their RP5 Road Shoe, a comprehensively supportive road endurance shoe for training and racing at any level. The one-piece upper features seamless synthetic leather for lasting comfort while the infinitely adjustable Boa® L6 dial closure with hidden wire routing allows you to achieve the perfectly snug fit. 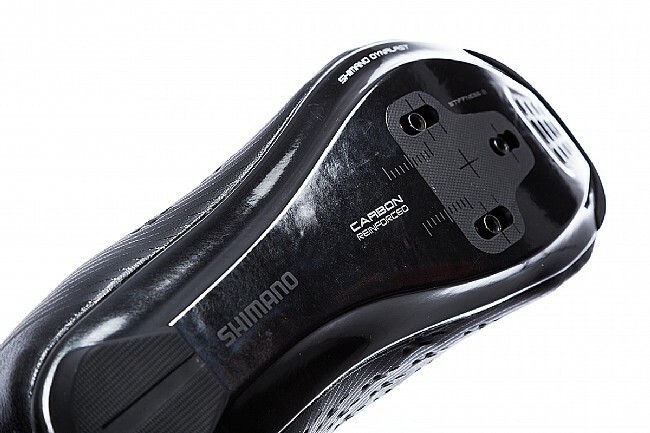 The sole is constructed from carbon fiber reinforced nylon, facilitating efficient power transfer. 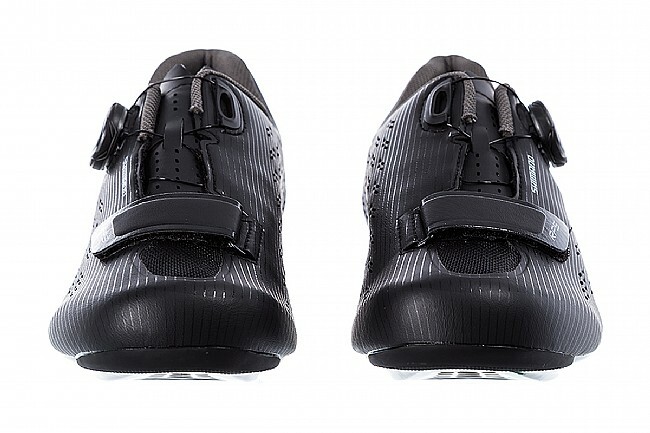 The shoe last has been improved with an optimized toe-spring section. Toe-spring sections that are too high cause tension around the plantar, calf, and hamstrings; when they’re too low, they lead to bowlegged, inefficient pedaling form. 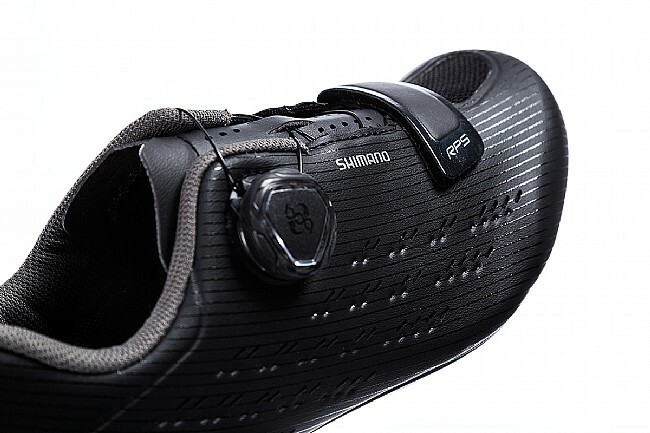 The toe-spring section of the RP5’s shoe last is carefully integrated for smoother, more efficient pedaling and energy conservation so it can be better spent during the final sprint to the line. Ventilation in the upper, insole, and outsole are skillfully linked to promote optimum airflow throughout the shoe. 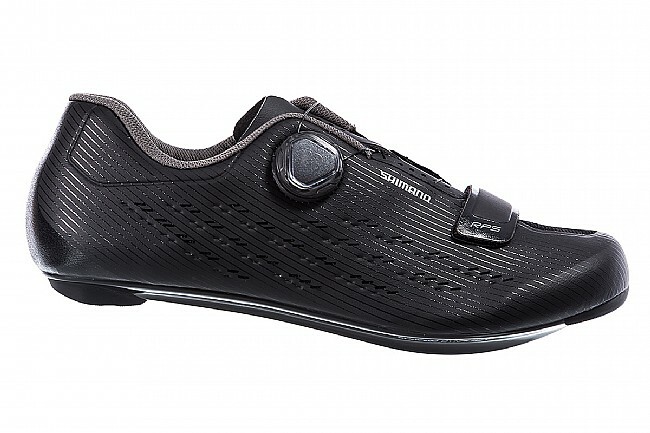 Seamless, one-piece synthetic leather upper. Boa® L6 dial with hidden wire routing. Carbon fiber reinforced nylon sole. Broader heel pads for steadier walking. I bought these for triathlon training. They are very comfortable and the boa system is so awesome for a quick transition. I have a narrow foot and the fit is perfect. 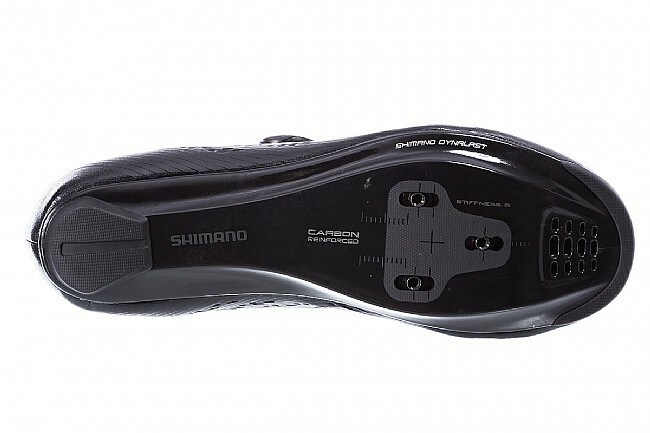 This is my frist pair of shimano and i am super please with them. 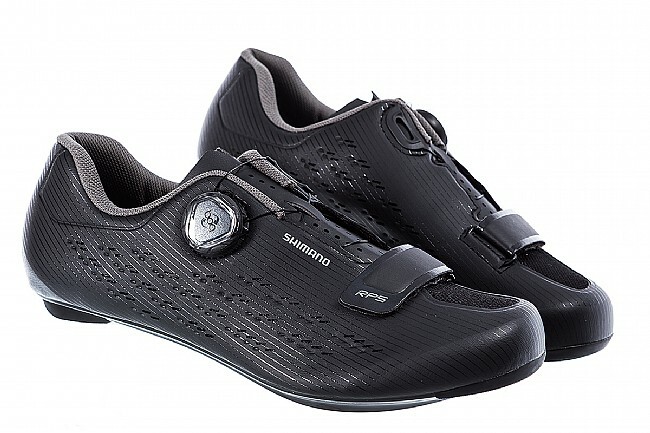 Cycling is my passion and having the right shoe is key to getting a great ride. Had a similar pair before for few years, no boa. Fit is comfortable for a wide feet. Have been using the shoes for more than month. Boa makes the shoe fit better than strapsVelcro. Pressure seems to be a bit more even distributed. These shoes function great. They have a nice and wide toe box and they are not pointy. 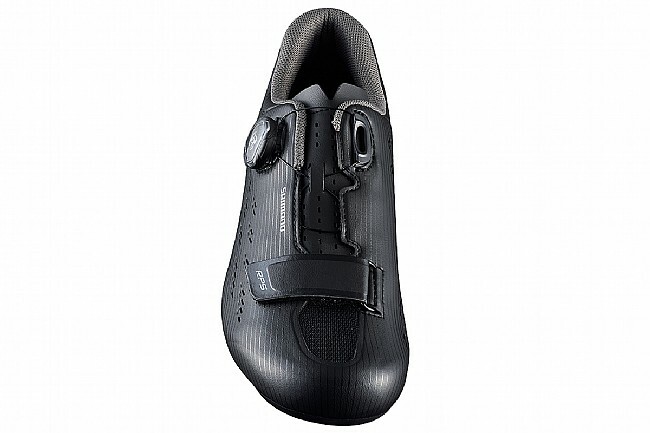 The interior cushioning of the shoe makes it really comfortable on the feet for longer rides.